Hopewell Valley Golf & Country Club designed by Thomas Winton in 1927 is located in Hopewell in central NJ. The 18 hole, par 72 championship golf course is now managed and owed by Spirit Golf Management. The club boasts a spectacular 18-hole championship golf course, lush landscaping, winding Stony Brook, and renovated clubhouse. Membership, includes access to our private Olympic size pool, complete with diving area, children’s wading pool, pool house and snack bar. For the racquet enthusiast; we offer three champion outdoor, lighted Lee Hydro-Court clay tennis courts and duel lighted aluminum paddle tennis courts with warming hut. Sport memberships include pool, tennis and paddle and are priced for one, two or all three sports. Designed with balance in mind, Rick Jacobson has seamlessly blended just the right amount of challenge with playability allowing guests of all skill levels to have a quality experience at this Philadelphia area golf course. 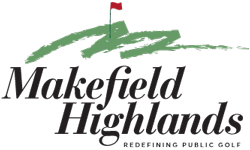 The only true links-style golf course in the Tri-State area, Makefield Highlands will treat you with our unique layout, fescue-lined fairways, and meticulous course conditions. Rolling fairways, strategically placed hazards, and beautiful views of the surrounding countryside combine to create a golf course you’ll be proud to call your home club. Rated 4 Stars in 2013 Golf Digest‘s “Best Places to Play” and voted by the players as the “Best of Bucks County” public golf course for five years straight, Warminster’s Five Ponds Golf Club is a challenging and well maintained public golf course located in Bucks County, Pennsylvania. True to it’s name, the course is built around a series of five ponds and the layout takes full advantage of the landscape. Rolling architecture, large bentgrass greens, elevated tees and plenty of water features contribute to an unforgettable golf experience. Clearbrook Golf Course is a 9-hole championship golf course located in Central New Jersey. The course is open to the public and offers the lowest price and best valued golf memberships in the area. The award winning Hal Purdy Design offers four sets of tees, providing golfers a chance to play a ‘quick nine’ or enjoy 18-holes that offer a variety of different tee and approach shots. 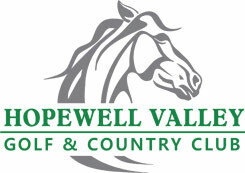 The Spring Hollow Golf Club is an 18 hole championship golf course. The Course opened in 1994 in the hills of northern Chester County. Architect John Thompson created a layout that blends in the features of this one time dairy farm on the grounds of the state owned hospital, Pennhurst. Meadows that define some of the holes were left in place and they give the course a natural look and feel. From one side of the course to the other there is a 110 foot change in elevation. Water hazards in the form of wetlands, creeks, and ponds come into play on six of the golf holes. The frequent and often dramatic elevation changes affords the players not only challenging shot selections, but also beautiful views of the surrounding area. The First Tee of Monmouth and Ocean Counties serves all children, ages 8 -17, who live in Monmouth and Ocean Counties. Part of its mission is to reach out to youngsters who would not otherwise have the opportunity to learn the game of golf and its core values. Spirit Golf takes pride in being a part of the development and oversight of the property. We remain committed to supporting the First Tee Programs and the JR Smith Learning Center.